The Marine Microbiology Initiative team would like to share several exciting opportunities in the life sciences that may be of interest to you. Please feel free to share these with other colleagues who may be interested. 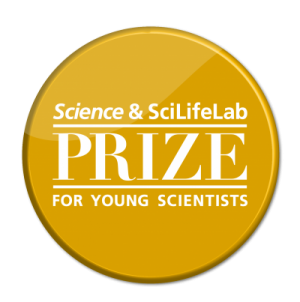 The prize is awarded annually to four young scientists for outstanding life science research. Applicants must have received a doctoral degree in the previous two years. Applicants are to submit a 1000 word essay that is judged by an independent editorial team organized by the journal Science. Essays are judged on the quality of research and the applicants’ ability to articulate how their work would contribute to the scientific field. Howard Hughes Medical Institute (HHMI) is pleased to announce a national competition for the appointment of outstanding scientists as HHMI investigators. This competition will enable HHMI to strengthen its community of basic researchers and physician scientists who bring innovative approaches to the study of biological problems in biomedical disciplines, plant biology, evolutionary biology, biophysics, chemical biology, biomedical engineering, and computational biology. HHMI expects to appoint up to 20 new investigators who will be among the most creative and promising in the nation. The Canadian Institute for Advanced Research (CIFAR) is announcing the launch of a new opportunity to explore key questions of global importance that can best be addressed through interdisciplinary, international teams. The research workshop program is designed for short-term, time-limited interactions of 10 to 20 people. Topics selected for workshops should have the potential to impact multiple sectors of society internationally. Topics that are timely in the context of world events, high-risk or which have strong potential for advancement or refinement through a collaborative and interdisciplinary approach are encouraged.